Tag Archives for " New Year "
The mini-firework display at Sugar Land’s kids’ celebration. More mini than fireworks. Maybe it is because they are saving their denarii for the upcoming Superbowl but Houston did not put on any official celebration activities to see in the new year. Perhaps this is why so many people headed to Sugar Land city center for their “New Year’s eve on the square”. Friends of the Caesar’s suggested we go out to dinner then take the kids down to see the Children’s celebration which would end with a kid’s firework display at 9 am. We ate Mediterranean food which everybody liked including the fussy kids, parked near Macy’s mall* and walked about 10 minutes which got there around 8:30. The street entertainment was something different and we liked it. 9 o’clock came and the fireworks started and they were impressive. Then it all stopped after what felt like about 1 minute. No build up. No finale. It just stopped. Huh? While it was billed as a ‘mini’ firework display where the main one (the ‘adult’ one) to begin at midnight, it was an anti-climax. The Big Bay Boom is advertised as one of the largest fireworks shows in the nation, and boasts about attracting half a million spectators. The pyrotechnics are launched from five barges in the San Diego Bay, and this year’s show – the 12th annual spectacle – was advertised by the port as being “bigger and more intense than in past years,” and organizers set up free buses and shuttles to handle the crowds of spectators. About a dozen bayside hotels offer special Fourth of July rates just so customers can watch the show from the comfort of their rooms. The explosion was so bright and loud that some viewers initially thought the barges containing the fireworks had caught on fire. “Oh my God. Look at that. Is that supposed to happen?” said one person, whose comments were captured on a YouTube video. “I think a yacht blew up,” @BENBALLER tweeted, along with a photo that appeared to show a breathtaking number of fireworks simultaneously exploding. 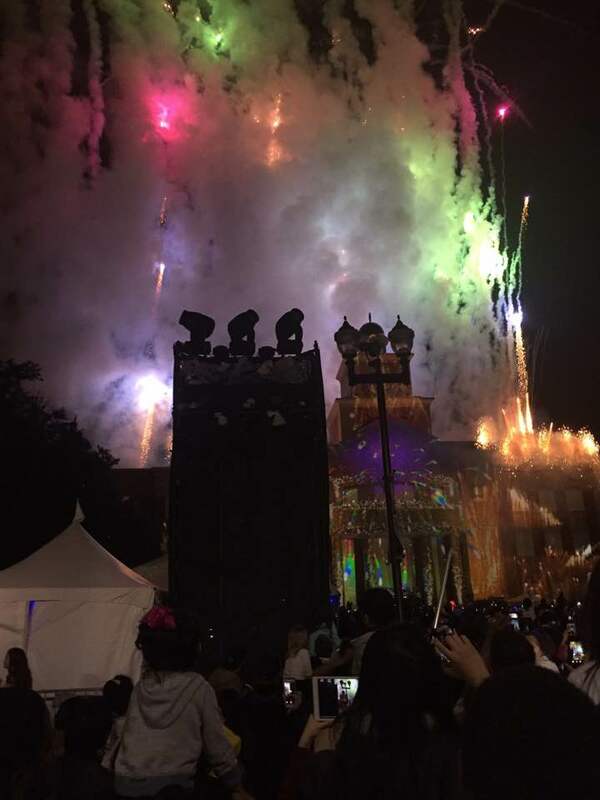 “I waited 3hrs in the cold and payd $12 for parking & got one little explosion?” tweeted @aj521z.“Best part about #bigbayboom fail is that EVERYONE has always wondered what would happen if all fireworks went off at once,” tweeted @richandcreamy. Garden State Fireworks, the firm producing the show, “will be working throughout the night to determine what technical problem caused the entire show to be launched in about 15 seconds. We apologize for the brevity of the show and the technical difficulties,” according to a statement posted on www.bigbayboom.com. A trip to Edinburgh where we gathered at Tron Kirk to bring in New Year only to find out the clock bells didn’t work where all the crowds were left waiting arm in arm to sign “auld lang syne”. A trip to New York where we could not get a taxi for love or money, and walked for hours back to our hotel leaving us cold and exhausted. Broadstairs, Kent where my entourage did a pub crawl. Many in the town dressed in costume where I was Dracula. It was such a success that one lady insisted on kissing me passionately not too long after midnight. Except her boyfriend didn’t like this too much and mid-kiss, sucker punched me straight in my face splitting my nose open. Not exactly the firework display I wanted. Now that I think about it the older I get, the more I want to stay home on the circus known as NYE but that has it’s own complications. Good luck finding a good countdown or celebration on a Texas TV channel. Many don’t even bother or get too lazy and just show New York’s celebration which sounds great except for that time zone problem. However, this year I was disappointed to not have caught Mariah Carey doing her own San Diego 2012 firework blow up. I would have loved to have seen her lip sync dissaster as it happened. It would have been a great way to see out 2016. We should have got an inkling of how bad this was going to be when the Diva was reported as asking beforehand ” What time does the ball drop?” and based on this,they had set up special arrangements to make sure she got to Time Square on time. [Daily Mail] Based on her performance or lack of, they shouldn’t have bothered ! PS: back to the Sugar Land event and parking. I’m glad we didn’t listen to officials saying to park in Football stadium and get a free bus ride to the event. The lines to catch that same bus back were monstrous. Something I’ve learned over the years is to plan your exit. Park just a bit further away to avoid traffic jams getting out. For big sporting events, parking away will be much cheaper.